geez, you guys are demanding – actually expecting me to write and all. okay, here’s a quick trip through some local (and personal) headlines of stuff around e-town. YAY! the weather’s grand and i’m feeling peckish. what’s a person to do? why, visit one of edmonton’s fantabulous farmer’s markets of course! as of may long, the downtown market on 104 street is now open, and selling everything from edible flowers to delicious lemon tarts. wander about, sample the local food scene (literally – almost everyone has food samples), and pick up some lunch. 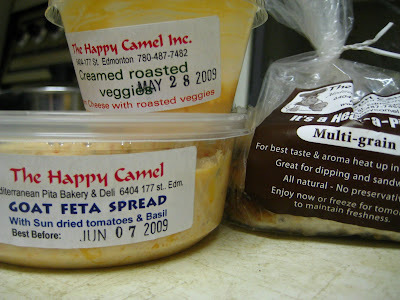 a friend and i trekked out to callingwood in west edmonton to discover the wonders of the happy camel. homemade pita, hummus, and tabbouleh are just a few of their delights. try their creamed roasted vegetables spread on multigrain pita, or maybe some of their yogurt dip on one of their loaded flatbreads. the happy camel has been at the old strathcona markets for awhile now, but this is their first year at the downtown market. if you discover you love them more than life can bear, make sure you visit them at their store on the west-end – there you receive a card and stamps for every visit over $10. 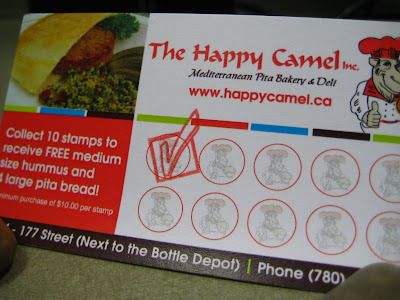 collect 10 stamps to receive a free medium hummus and 4 large pitas. 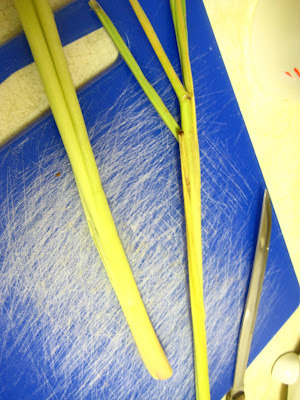 recently i decided to try cooking with lemongrass for the first time. i tend to get nervous about cooking with new ingredients that seem difficult to use (i have yet to try cooking with phyllo), but have decided that this is the year for trial-and-error. i didn’t even know what it looked like, but with some friendly help at the 51 avenue superstore, found it amongst the potatoes and onions. i stripped off the outer leaves, and started hacking it to pieces, then blended it with garlic, fish sauce, and rice vinegar to marinate pork pieces for a vermicelli bowl. no clue if i stripped off too much or not enough of the outer leaves, but the nice thing about this was how cheap the lemongrass was, so i didn’t feel too bad about wasting too much of it. 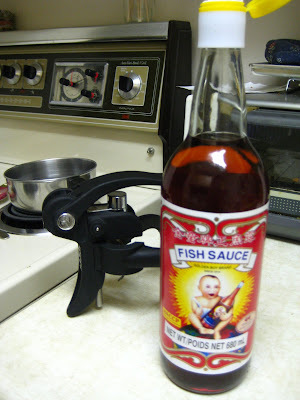 i bought fish sauce for the first time to make the above recipe. 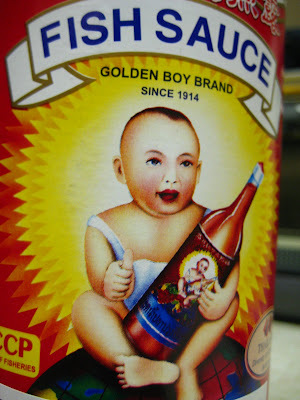 golden boy fish sauce to be exact. yeah…has anyone out there purchased this brand before? if you have, you know exactly where i’m going with this – how the hell do you open it?! sure you take off the outer layer of plastic first. and sure you flip open the yellow cap, but then what?! how do you crack the 3 solid plastic, concentric circles?? i tried prying them off with a knife, i tried pushing them in, i even begun sawing away at the top ring, but stopped after i realized i would get fish sauce everywhere (i don’t do anchovies very well). 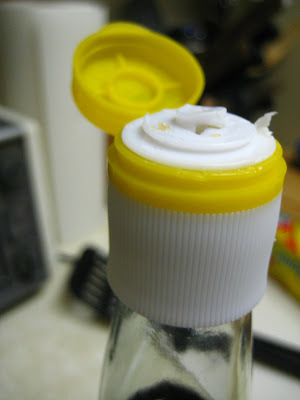 the solution came from my brother-in-law: take a corkscrew to make a hole in the top. brilliant in its simplicity, effective in its result – i now pass along this wisdom to you, my fellow foodies. no longer shall we be denied the fish sauce. for mother’s day part of my gift was to prepare a homemade brunch for my parents. 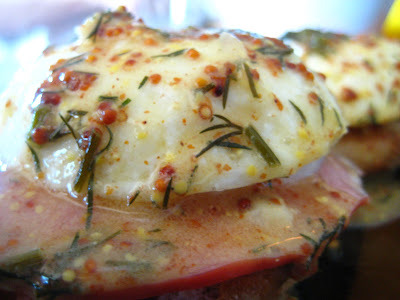 eggs benedict came to mind, but since both of my parents are diabetic, i needed to create a low-fat, low-sugar and low-sodium substitution for hollandaise sauce. i came up with: 1 tbsp. butter, 2 tbsp. lemon, 1 tbsp grainy mustard and fresh dill, heated until the butter had melted. it looked great, and tasted just okay, but there has to be something out there that’s better. 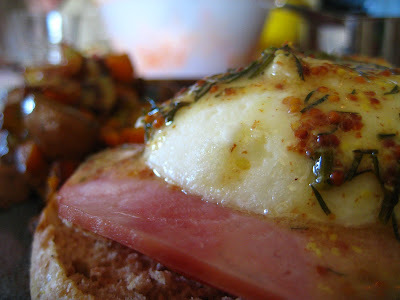 if anyone has a recipe for a low-fat hollandaise, send it my way – it will definitely come in handy in the future. finally, i’d like to say “hello” to don at the river cree casino. don, as introduced to you in a february blog, is the sous chef at the kitchen buffet restaurant at the casino, and works his creativity for the seafood buffet there. i went back for some snow crab legs, mussels and shrimp on friday and had a quick chat with him, and he apparently reads this blog (woo-hoo! i’m up to 30 readers now!). so hello to you don – thanks for the deliciousness.